This post is sponsored by Basic Invite. 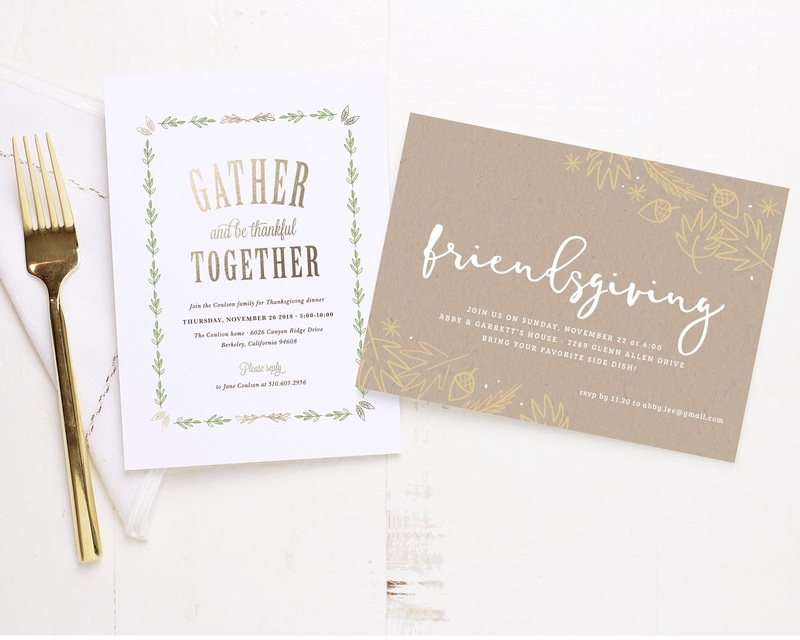 When I was approached by Basic Invite, I was excited but admittedly, a little intimidated! 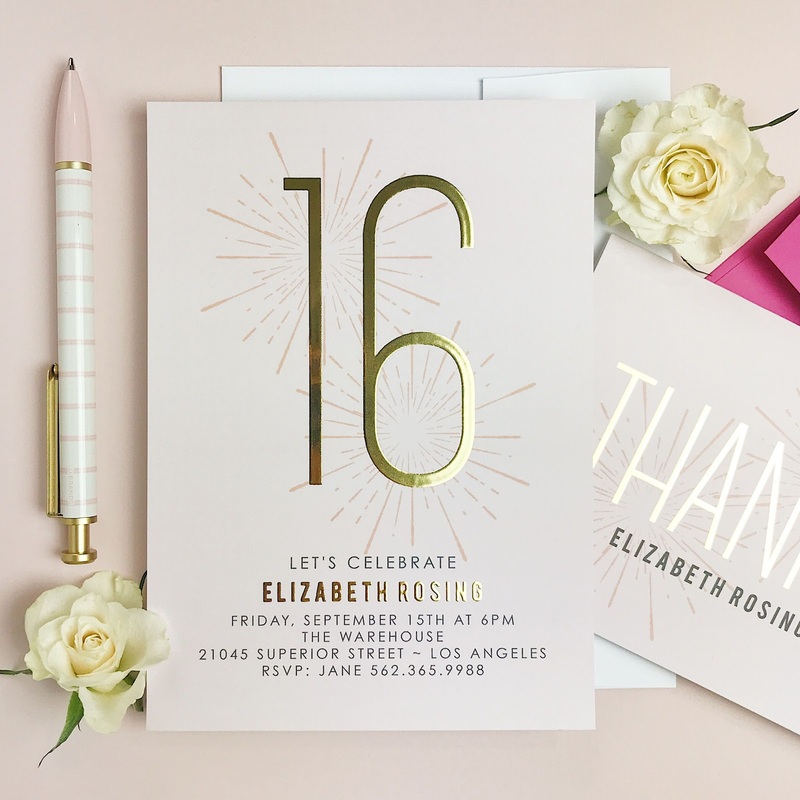 They present such a broad spectrum of invitation and stationery options -- even offering websites for your events like birthdays and weddings. 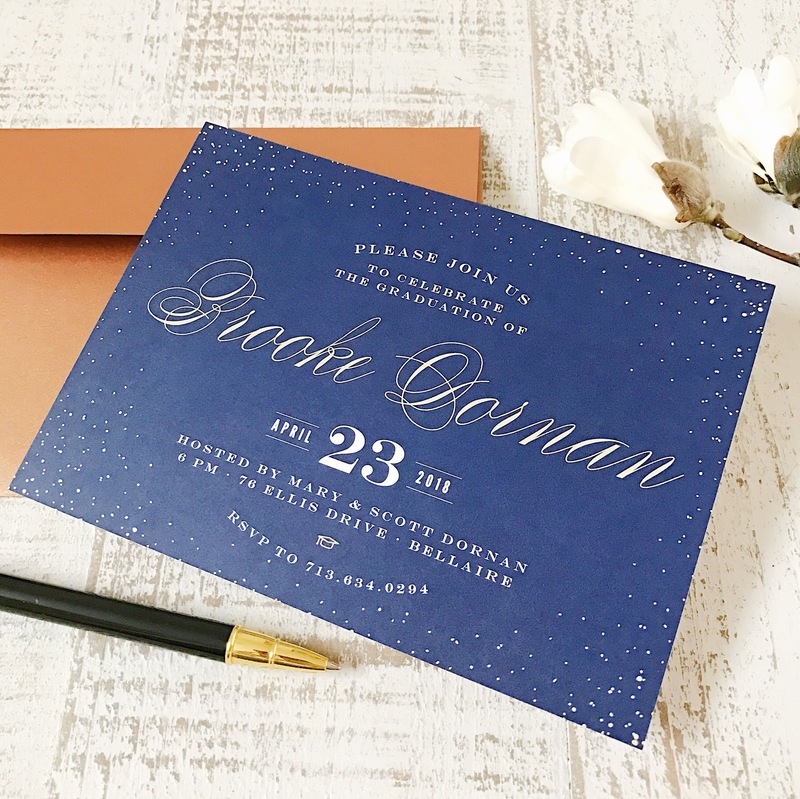 They also offer almost unlimited colors to customize your invitations, with over 180 different color options for each element of the design, so your design is truly your own. 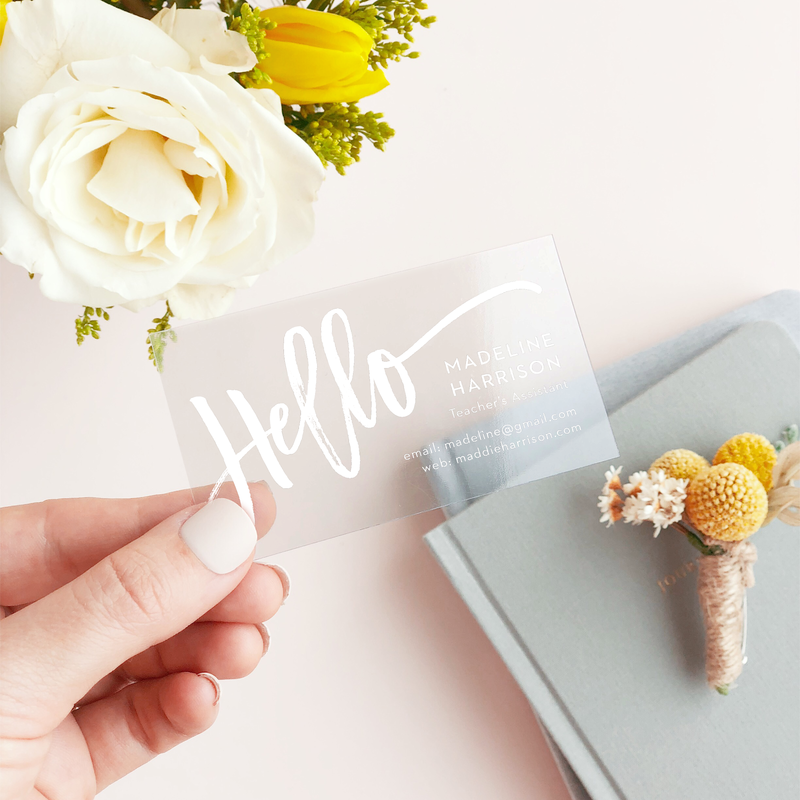 Something I really appreciated too, was the fact that Basic Invite saves you the headache of ordering invitations sight mostly unseen, with custom samples. Not all sites offer the ability to get a sample of your final product before it's sent out as the "final product", but in my opinion it offers peace of mind and of course, room for last minute changes, which are super important. 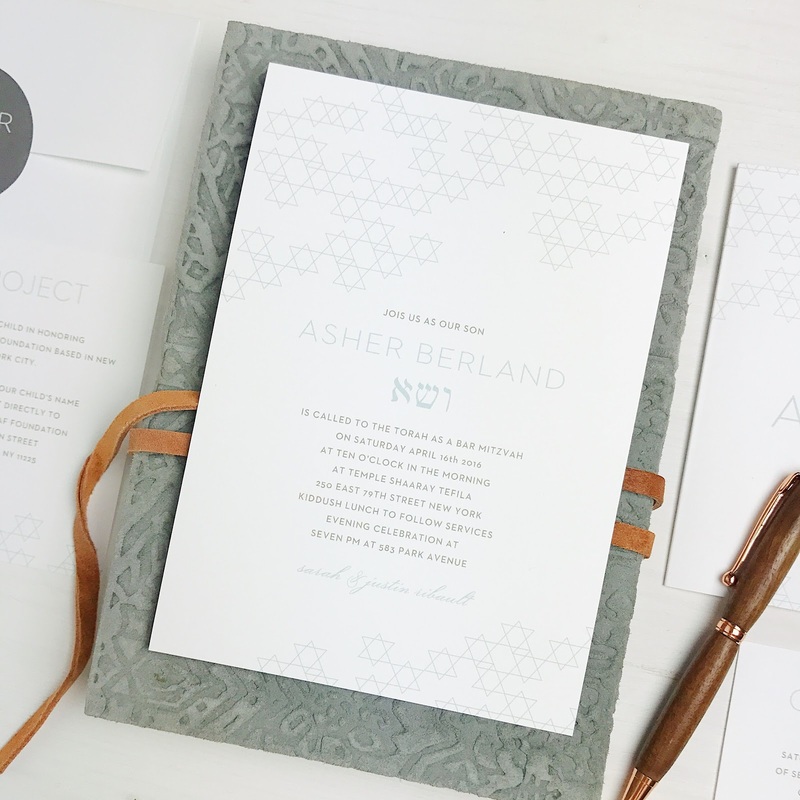 These are some of my favorite samples; the variety in colors, textures, and templates alone is already inspiring my next order of invitations. (Seriously, I *need* that gold foil lettering). 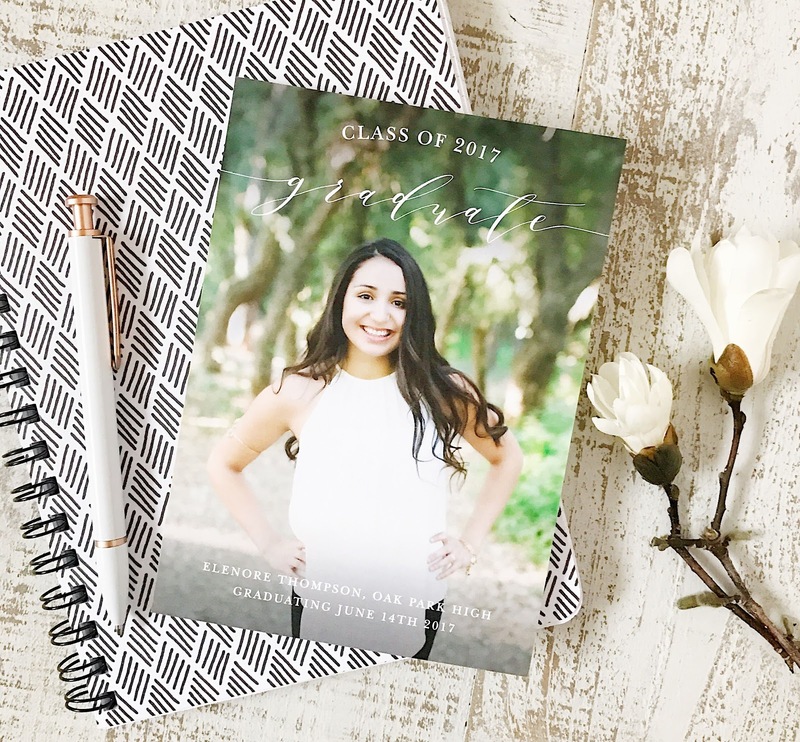 And with graduation season coming up, Basic Invite has you more than covered with seemingly endless graduation party invitations templates, including highschool graduation invitations and photo graduation invitations.